The yellow coloration of the skin and the sclera in a newborn is called Neonatal Jaundice and is due to elevated level of Bilirubin in the blood. This is also called Hyperbilirubinaemia. Jaundice is a common condition seen in newborns which usually resolves without any treatment. About 50% of term infants and 80% of pre-term infants have Jaundice during the first week of life. Physiological Jaundice usually appears during the first 2 to 4 days after birth in a newborn and disappears by 1 to 2 weeks of life. Bilirubin is a natural yellow substance which is produced in the body due to the breakdown of red blood cells which occurs in the liver. This Bilirubin is then, excreted out of the body in stool. Before birth, the babies need high levels of red blood cells in order to get enough Oxygen from their mother’s blood. Immediately after birth, when they start to breath on their own, they no longer have the need for fetal Hemoglobin. This causes the breakdown of extra red blood cells, producing high levels of Bilirubin. This process occurs in the liver producing the by-product Bilirubin. This is then removed from the blood stream and excreted in the stool. If not excreted, Bilirubin will be re-absorbed into the blood stream leading into high levels in the blood. If bilirubin, in these high levels enters certain organs in the body, it may lead to dangerous outcome in the baby. Bilirubin is finally excreted in the stool as the blackish, green colored meconium during the first few days after birth in a newborn. Why is Jaundice so common in newborns? There are extra amount of red blood cells at birth which are then broken down into bilirubin soon after birth. The liver is immature in newborns. Therefore, doesn’t function quickly enough to remove the extra Bilirubin produced. These two effects, together cause the Bilirubin to build up in the blood which then results in the yellow coloration of the skin and the sclera within the first few days of life in the newborn. Ones Bilirubin is produced by the liver, they are excreted through the newborn’s bowel movements. That is why, it is very important to increase the number of bowel movements in the newborn to excrete the extra bilirubin produced soon after birth. Yellow coloration of the skin and the sclera. Usually the yellow coloration of the skin starts to appear from head to toe, first in the face and then progresses from chest to stomach and legs to the whole body depending on the high levels of blood Bilirubin. In mild jaundice, the yellow coloration will appear in the face and if it is severe, then the whole body will have yellow coloration. Initial diagnosis is done by physical examination of the newborn which shows yellow coloration of the skin and the sclera. In most cases, no treatment is required. Jaundice resolves within 2-3 weeks after birth. Close observation of newborns for Symptoms of Jaundice. 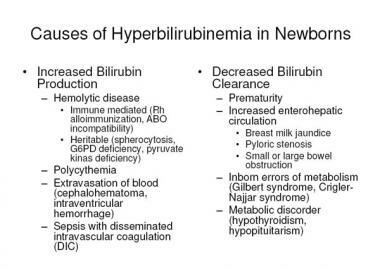 Closely monitor Bilirubin levels in the blood of the newborns. Usually peaks between the third and fifth day after birth and usually is <12mg/dl. But occasionally levels maybe >15mg/dl. Early frequent feeding which helps in more frequent bowel movements. Early frequent feeding, at least 8 times/day is important in newborns. More feeding means, more bowel movements in the baby which helps in excreting the excess Bilirubin out of the body. This helps in preventing early onset jaundice. Colostrum is the first milk that comes out of the mother’s breast during the first few days after giving birth, before true milk comes. This is yellow, thick and sticky and contains all the nutrients needed by the baby in high concentrations. Colostrum also has the laxative effect on the baby, which in turn helps the passage of early stool in the baby. This aids in the excretion of excess bilirubin produced in the baby’s body and helps in preventing Jaundice. If blood tests show high blood Bilirubin levels of 15mg/dl or more, then phototherapy is indicated in newborns who are 24-48 hours old. The type of florescent light used in phototherapy changes the make-up of Bilirubin into a form that can be more easily removed from the newborn’s body and thus, helps in its rapid excretion. A baby with Jaundice may need to receive phototherapy for several hours to several days, depending on the high levels of Bilirubin in the blood. The newborn is kept in an incubator during phototherapy. The baby is fully undressed except for a diaper, so that as much of the baby’s skin as possible is exposed to the light. The baby’s eyes are covered to protect the retina from being exposed to the bright light, as it may cause damage to the retinal nerve. Feeding should be continued at a regular basis as it is very important in the treatment of Physiological Jaundice. Bilirubin levels in the blood are tested at least ones a day or even twice a day. Ones Bilirubin level begins to drop in Physiological Jaundice it will keep dropping and will take another week or so to reach the normal level. 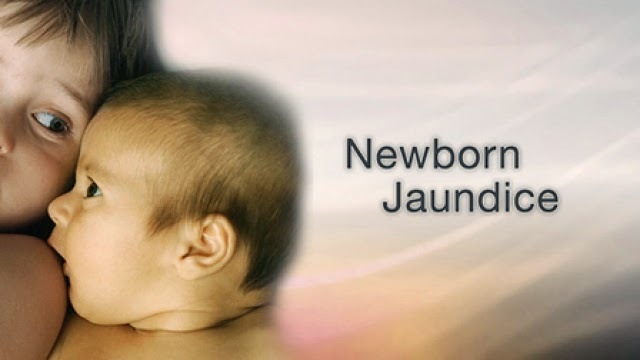 For most newborn babies, Physiological Jaundice will go away without any treatment as the baby gets older and the body starts to work better in removing the excess Bilirubin. Ones the Bilirubin level starts to fall, in case of Physiological Jaundice, it will continue to do so till it reaches the normal level. In babies, where the bilirubin levels become very high, it may lead to serious complications. This high levels of bilirubin may enter the brain and cause Kernicterus. This is a rare complication which causes irreversible brain damage in the new born. Frequent monitoring, early diagnosis and treatment will help prevent Kernicterus in new born babies. Note: – This article is guest posted by Damithri Fonseka. Want to submit a guest post? 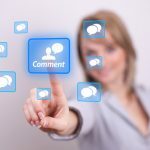 Read HealthResource4u guest submission guidelines. This blog is very meaningful, Neonatal jaundice is one of the main problems with neonates. This can occur when the baby is having a higher level of bilirubin in the blood. The bilirubin is a yellowish substance which presents in the blood, by replacing the old red blood cells. Ibis Medical is one of the major manufacturers of the neonatal products which has a worldwide distribution network.